How do I list my parking space? Who can list their parking space? How much can I lease my car park for? How do I work out the right price for me? How does Parkhound protect me? Can I set a minimum booking length? Does the congestion levy apply if I lease my space? Do You Have an Empty Car Space? Start earning up to $400/month from your unused parking space. It’s free to list and takes less than 10 minutes. Accept a booking request that suits you. We’ll deposit your monthly earnings into your bank account. You can list a variety of parking spaces on Parkhound. Here are the most popular space types. Please note that how much you earn is influenced by the location of your space. Have an empty driveway? Rent it out to a friendly local and start earning! You decide access times. Most Hosts allow 24/7 access. Indoor Parking is very popular in inner-city areas, particularly for commuters. List your spare indoor parking spot to start earning. Remote/Swipe Pass. Most Hosts allow 24/7 access. Lockup Garages are high demand parking spaces. Rent your empty garage out to a friendly local in need of space! Remote/Key/Swipe Pass. Most Hosts allow 24/7 access. Own an outdoor parking space but don’t use it? Rent it out to locals in need of extra space! An unused carport can help you earn extra cash. List your space to start earning. How Do I Create The Ideal Listing? To create the perfect listing and start earning, you only need a few details. If you need help, please call us on 1300 55 63 55 or email us at team@parkhound.com.au and we’ll set up your listing for you. Add at least 3 photos to showcase your parking space. You’ll need the dimensions of your space (length, width and height). This helps potential Drivers determine if your space can accommodate their vehicle. Include features of your space, such as security, access and distance from public transport or amenities. 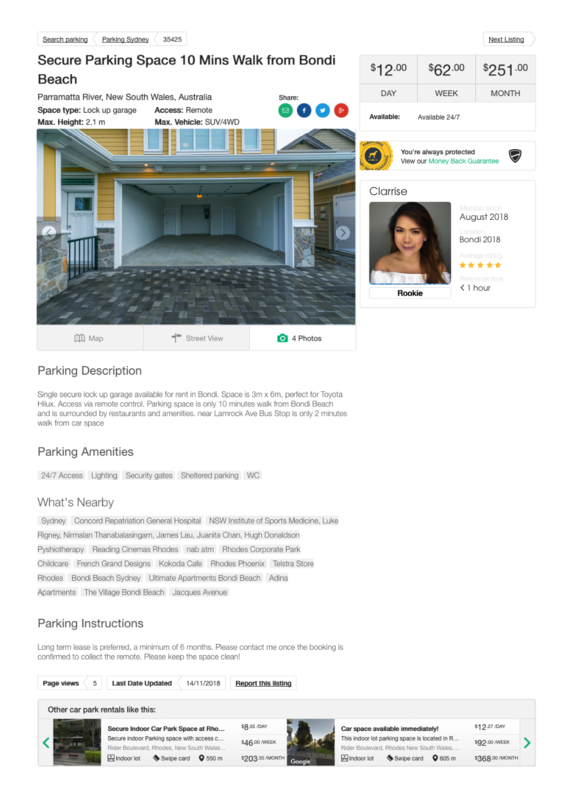 Parkhound is the easiest and safest way to make money from your spare parking space. It takes less than 10 minutes to list your space and we don’t charge you! Parkhound takes a small fee from Drivers for each successful transaction. 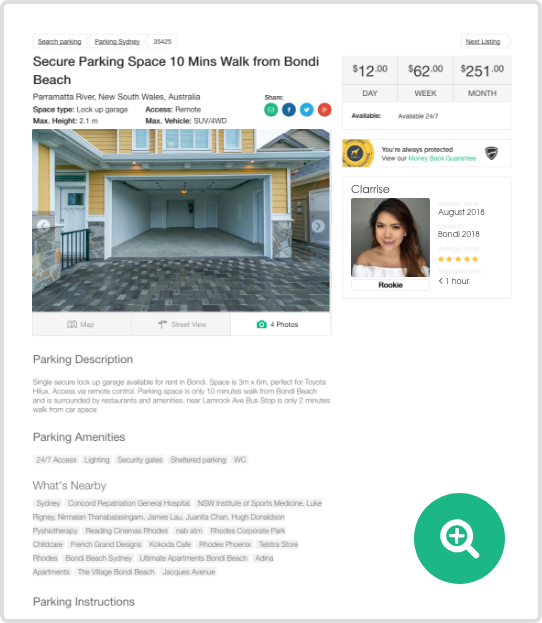 Parkhound is the largest parking marketplace in Australia. On average, Hosts receive a booking within 10 days of signing up. You accept the booking, accessibility, how you interact with the Driver and the availability of your space. We offer support online and over the phone through every step of the process. Ready to start earning? Sign up and list your space today!